What size do I make my image for social media? With the social media sites constantly making updates, there can be a lot of confusion over the ideal size to create images and photos. 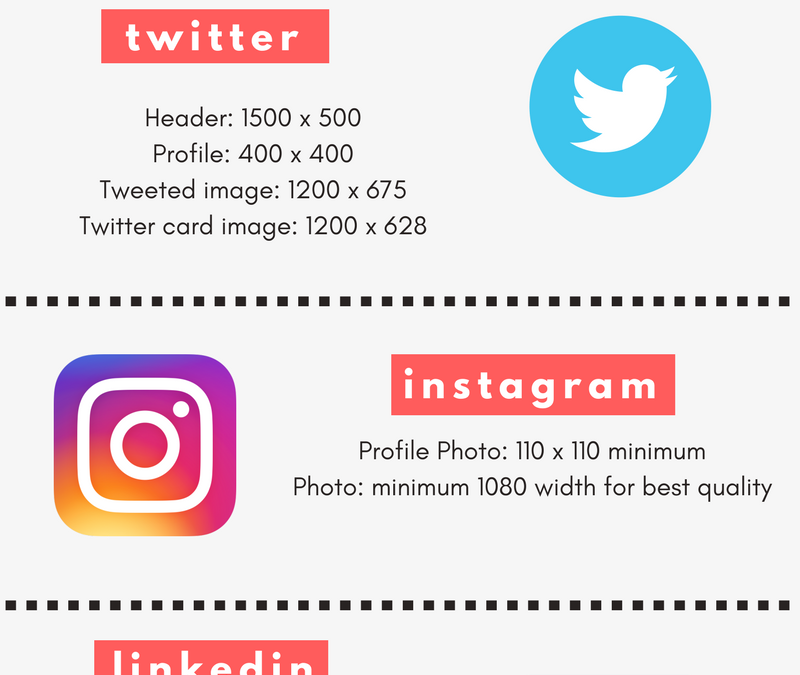 Here’s a brief rundown of some critical social media photo sizes. A simple, accurate listing of the most popular social media images all in one place! At the time of this publication (January 27, 2018), the top recommended size for image posts are 1200 pixels square. This dimension is ideal for Facebook and Instagram posts, and it also works well for LinkedIn and Twitter. The top recommended size for link posts on Facebook, Twitter and LinkedIn are 1200 x 628 pixels (a 1.91:1 aspect ratio). All the image recommendations listed in this article are based on pixels (h) by pixels (w). Need help creating your images at the proper size? There are several tools, both paid and free, that are availalble for you. A few of my favorites are Canva, PicMonkey and Picresize.